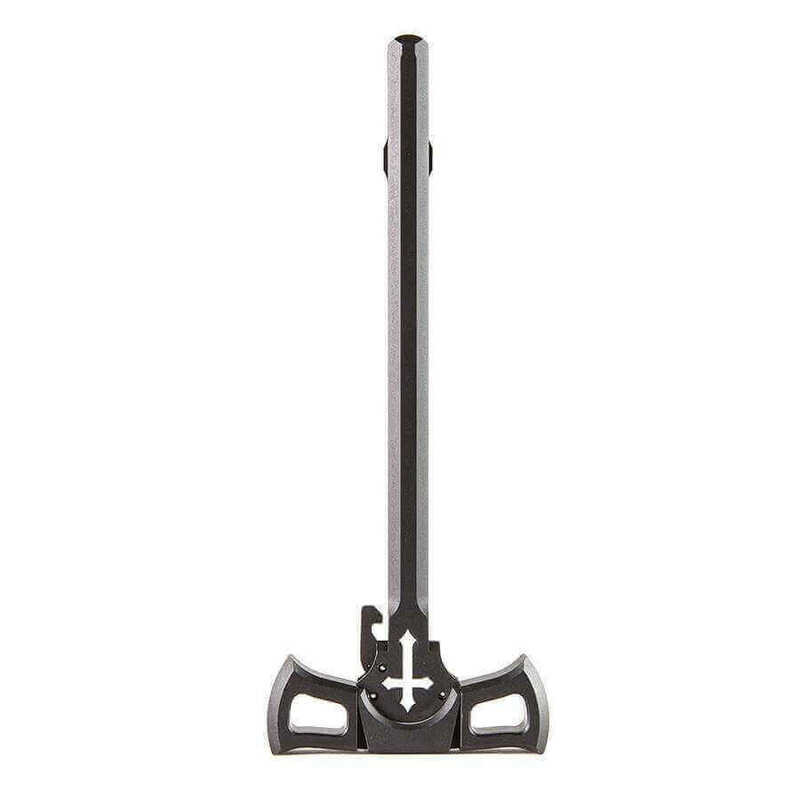 Cover both sides of the “charge” by upgrading your current charging handle with the ambidextrous Tomahawk Charging Handle. While the shape and laser engraving are inspired by the design of our POF-USA American Patriot Tomahawk, the Tomahawk Charging Handle has optimized functionality as well. For quick and efficient operation with either hand, It features over-sized levers on both sides to make palm “blading” or finger thumb charging a breeze. “Smoke the pipe of peace, bury the tomahawk, and become one nation.” – General Zebulon Pike. Thanks for sharing your feedback, Josh. We're glad you're satisfied with your purchase. Cheers!